Termites are one of the most destructive insect pests of the entire world. 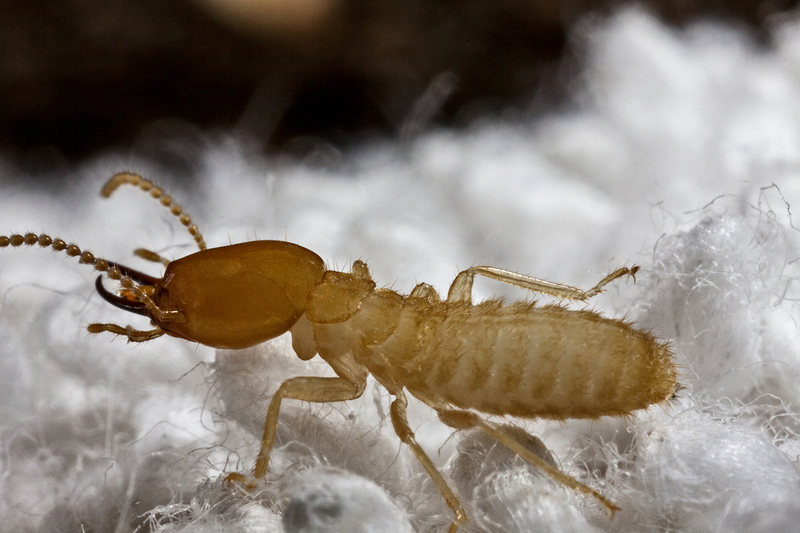 In the U.S. alone, termites cause more than a billion dollars in damage every year! Subterranean termites which live under the soil and are quite industrious creatures. They dig through the soil looking for food and can enter buildings through very small cracks in the slab and foundation of your home. Once they locate food (a tree stump or your home), they can make feeding trails back to their home or colony. Subterranean termites cause over 80% of the $5 billion in annual termite damage, more than floods, fires and earthquakes combined. What to look for: Look for “mud tubes or tunnels” on the foundations or walls and under the windows. Tap on base board and wood flooring to see if they sound hollow- a possible sign of termite infestation. Watch for pin-sized holes in the wall and door or the window trim where termites exited during swarming season (Feb-April). Examine the window sills and doorways for dead termites or wings. Treatment: Subterranean termites require a liquid treatment or installation of a baiting system around the perimeter of the house. 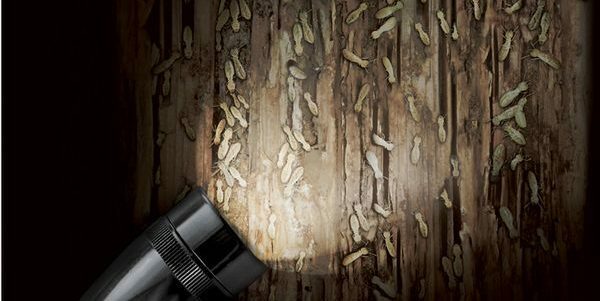 Drywood termites are swarming termites that live and feed in dry wood and do not come in contact with soil. They can swarm from a dead tree or another building nearby and enter your home through unscreened sofit vents or gable and ridge vents. They can also enter through small cracks and crevices around your windows, doors and the perimeter of the house. Once they establish a colony in one part of the house, they can swarm into other parts of the house. What to look for: Look for Drywood termite wings and droppings that look like fine sawdust (from white-brown-black in color) on window sills, door frames and attics. Surface blisters are a sign of advanced infestation or wings and droppings inside the house. Treatment: Drywood termites require either a tent fumigation treatment or a DAT treatment (no fumigation), whole house Drywood termite liquid treatment. Whether you are buying or selling a home, termites can put a real damper on your plans. The last thing you want to deal with when you move into a new home is termites, which is why getting a termite inspection is so important. Sellers can help by having a termite inspection done prior to listing to help show potential buyers that your house is free from termites and is a good investment. A WDO (wood destroying organism) inspection report is required by many lenders, including VA. Even if you are not required to have a WDO report it is still a good idea for such a large investment, for peace of mind, and to prevent the cost of thousands later on. Elite Inspections & Pest Solutions have Florida State Certified termite inspectors with over 8 years experience in the State of Florida. This means that our Inspectors bring proven expertise and experience with every visit, allowing us to provide top quality termite inspections you can trust. We combine our professionalism with a high level of customer service by responding to customers quickly, maintaining excellent communication with our clients, and returning the termite inspection report within 24 hours. We take pride in building relationships with our customers and realtors.